The village of LaFayette is located on IL Rt. 17, approximately 12 miles south-southwest of Kewanee. The population of 227 sits quietly on the western boundry of Stark County. The first classes at LaFayette High School were held in 1891 in a building downtown. 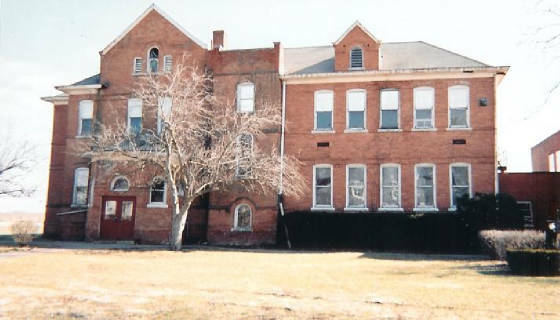 The high school moved to a location on the southern edge of the town in 1899, where that building still stands today. LHS was deactivated in 1970 when LaFayette merged with Toulon, along with the grade school in West Jersey, to create Toulon-LaFayette High School. 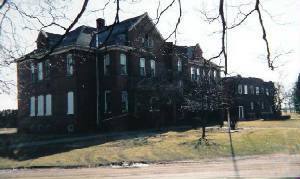 The LaFayette High School building was home to the grade school kids from the area until 1978. Toulon LaFayette High School merged with Wyoming High School in 1992 to create Stark County High School located in Toulon. 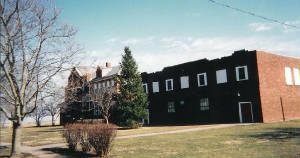 The LaFayette High School building still stands tall and is owned by the LaFayette Park District, where it is rented out for family reunions and alumni dinners. Of Good Ole LaFayette High! According to the IHSA web site (www.ihsa.org), LaFayette High School basketball was a great success in LaFayette. LHS brought home SEVEN District titles during its existence. Pretty incredible for probably one of the smaller schools in its area! LaFayette High School basketball successes are listed below. Under the guidance of Coach Ken Elliot, the Panthers went 128-52 from 1930-1939, winning 23 trophies over that period. More information is being sought regarding the records and coach's names of the teams. Several scores involving LaFayette High School in the IHSA State Tournament were located on a website titled "Illinois Postseason Basketball Scores." These scores are posted below. 1922-23 through 1933-34 Postseason scores, records, and coaches' names needed. 1940-41 Postseason scores, record, and coach's names needed. 1941-42 Postseason scores, record, and coach's names needed. 1042-43 Postseason scores, record, and coach's names needed. 1943-44 Postseason scores, record, and coach's names needed. 1944-45 Postseason scores, record, and coach's names needed. 1945-46 Postseason scores, record, and coach's names needed. 1946-47 Postseason scores, record, and coach's names needed. 1947-48 Postseason scores, record, and coach's names needed. 1949-50 Postseason scores, record, and coach's names needed. 1952-53 Postseason scores, record, and coach's names needed. 1953-54 Postseason scores, record, and coach's names needed. 1956-57 Postseason scores, record, and coach's names needed. 1957-58 Postseason scores, record, and coach's names needed. 1063-64 Postseason scores, record, and coach's names needed. 1964-85 Postseason scores, record, and coach's names needed. 1965-66 Postseason scores, record, and coach's names needed. 1966-67 Postseason scores, record, and coach's names needed. 1967-68 Postseason scores, record, and coach's names needed. 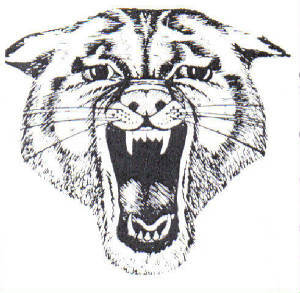 **Final basketball game for LaFayette High School "Panthers." Consolidated with Toulon in the summer of 1970 to form Toulon-LaFayette High School. LaFayette offered football beginning in 1897. Not much is known about the Panthers' gridiron stories or how long LaFayette hosted the sport. It is known that the 1922-23 season (see photo below) was unbelievable for the Panthers. That season, led by their Coach, Professor Dunlap, little LHS finished 9-0 outscoring opponents 341-41!! Victories that year included a 73-0 win over Woodhull and a 76-0 defeat over Neponset. Only three schools scored on the Panthers that season: Abingdon, Chillicothe, and Toulon. The final game of the year was against Stark County rival Toulon, in which the 39-6 LHS win was witnessed by more than 1,200 people. No football was played between 1924 and 1927 at LaFayette. The sport was brought back in 1928, but for how long, is not known at this time. LaFayette began offering the long distance sport in 1934 under the tutelage of Coach Ken Elliot, who also served as boys' basketball and track coach. In a dual meet LHS defeated Pekin that first year, handing PHS their first dual meet loss in the sport in 4 years. During LaFayette's "run" in the sport of Cross Country, the Panthers faced such competitors as big schools from Evanston, Oak Park, Bloomington, LaSalle-Peru, and Champaign. At this time it is not known how long the sport was offered at LHS. Not much is known at this time about the LaFayette High School baseball teams. 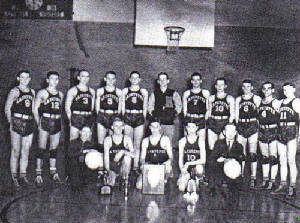 The Panthers were Conference champs in the Inter-County Athletic Conference (ICAC) during the 1958-59 season. That year the Panthers went 5-0 in conference play behind the .563 average of Junior Bob Jones. More information is needed on the baseball program at LaFayette High. It is also known that LaFayette offered Bowling. More information is needed on accomplishments in that sport along with any information on Track & Field teams from LaFayette. Not only his success on the hardwood floors at LaFayette High School, Ken Elliot was the head man behind Cross-Country and the Track & Field teams at LaFayette High School from 1930 to 1939. 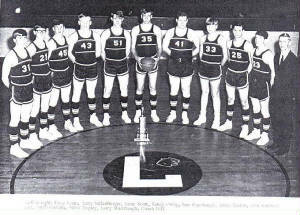 In basketball, Coach Elliot garnered a record of 128-52 in those years, winning 23 trophies for LHS. Coach Elliot also started up the Cross Country program in 1934, a rarity for such a small school. Ken Elliot left the LaFayette school district for Maquon, where he took over coaching duties for their boy' basketball and track & field teams.